Camtasia is an amazing piece of software from Techsmith. It can be intimidating when you are working with technology and aren’t sure what to do next. It can be overwhelming when there are so many different choices – where do you begin? Camtasia allows for you to grow as you become comfortable with the software. They have great tutorials on getting the most out of your video production. No experience with Camtasia? No problem – get a free trial for your Windows computer or your Mac. Here is the really cool thing about the free trial – you get to sample the entire software package. There is a watermark in your video, but that is it. So you downloaded the software, now what? Record your screen and narrate what you are doing. It’s just that simple. If your computer has a webcam on it, record yourself while you record your screen. Then share the video to publish it to your computer or YouTube account. The hardest thing will be to get your lesson prepared. You should be able to do this, you prepare lessons all the time. Use whatever it is that you use: PowerPoint, Google Slides, SmartNotebook, Promethean…Set Camtasia to record your screen, start narrating. Working on a specific area on the screen? Use Camtasia to zoom into that area, then zoom back out to normal when you are done. Add annotation and thought bubbles to ask questions as you move through your lesson. Or create an interactive hotspot…Maybe your video is just a bit to long, you can speed it up. Once you have moved out of the newbie status, Camtasia grows with you. There are tons of things to explore! Have fun and make it a game – what cool thing can you add next? I had calculators flying in and out of the screen! Ok, Ok, I’ve mastered the basics. Now What? Consider recording a weekly podcast about the learning that happened in your classroom. Camtasia has a feature that will allow you to save a recording as an audio file for podcasting services. You can even post the audio file to your class website for parents to listen to as they drive around town. Record a reflection of a lesson that happened earlier in the day. Record you actually teaching a lesson from your spot in your room. 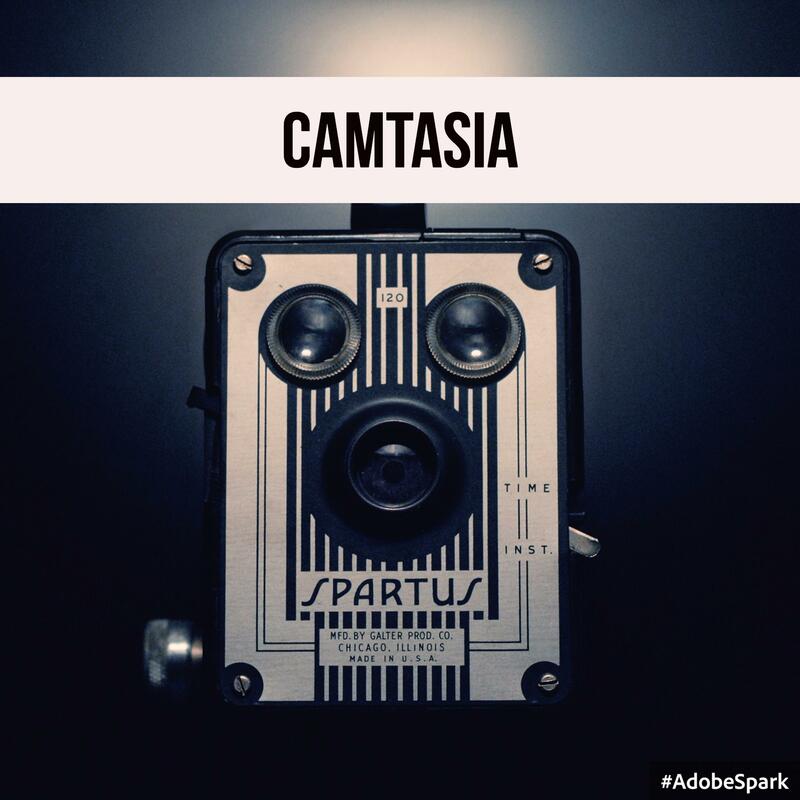 Use Camtasia to clean up the video, now you have something to share with colleagues and administrators (the reflection) or something to share with students and parents (the lesson). Camtasia is absolutely loaded up with so many cool features it would be impossible to list them all here. It is a great platform for any classroom. Want more ideas – check out the infographic!